Old Town Trolley Tours are a convenient way to explore Washington, DC, especially for a first time visitor. You can explore the nation’s capital and its many attractions at your own pace using "Hop on - Hop off" privileges at 21 stops around the city. Old Town Trolleys operate from 9 a.m. to 5:30 p.m. (4:30 p.m. in winter) and make stops at each designated location every 30 minutes. No reservations are required and you can board at any stop and reboard for free all day long. Old Town Trolley tours provide a narrated tour, highlighting the history and interesting facts of over 100 points of interest. The tour includes Washington's major attractions such as the Smithsonian Institution, Lincoln Memorial, Jefferson Memorial, Vietnam Veteran's Memorial, Georgetown, Washington National Cathedral, the White House, and much more. 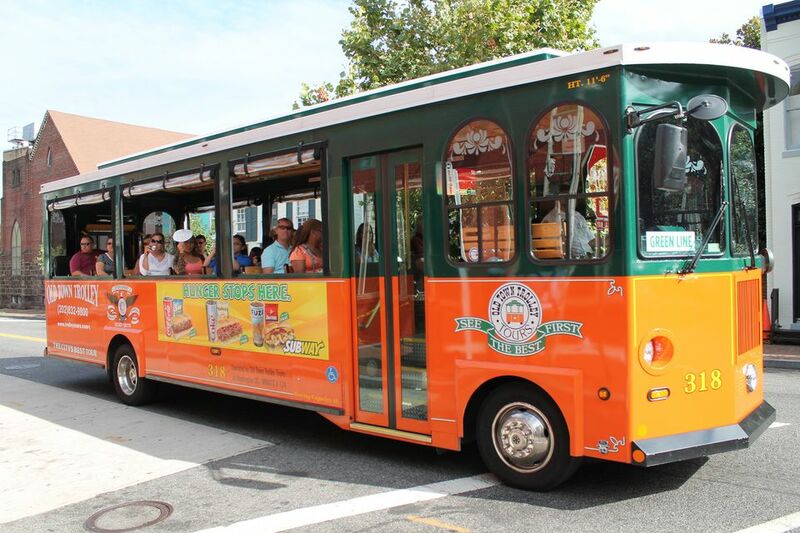 Trolley Tours can be a great way to see a lot of the city in a short period of time. Note that during busy times of the year, they may be crowded and you may spend too much time waiting and traveling to places you may not really want to see. For the best experience, start early in the day and plan ahead where you want to stop. National Mall and Downtown - Orange Loop - Stops at all the Smithsonian Museum buildings, the National Monuments and Memorials, the U. S. Capitol and Supreme Court buildings. You may transfer from one loop to another. The transfer point for the Arlington Cemetery Shuttle is at the Lincoln Memorial. The transfer point for the other routes is at the Washington Welcome Center at 10th and E Sts. NW. Washington Hilton - 1825 Connecticut Ave.